Since Barretstown opened in 1994 it is constantly evolving and adapting to improve the quality of the experience at the camp for attendees as well the staff and volunteers.The camp operates primarily in the spring /summer /autumn and when the children are on summer holidays and also operates at weekends and school holidays during the school year. 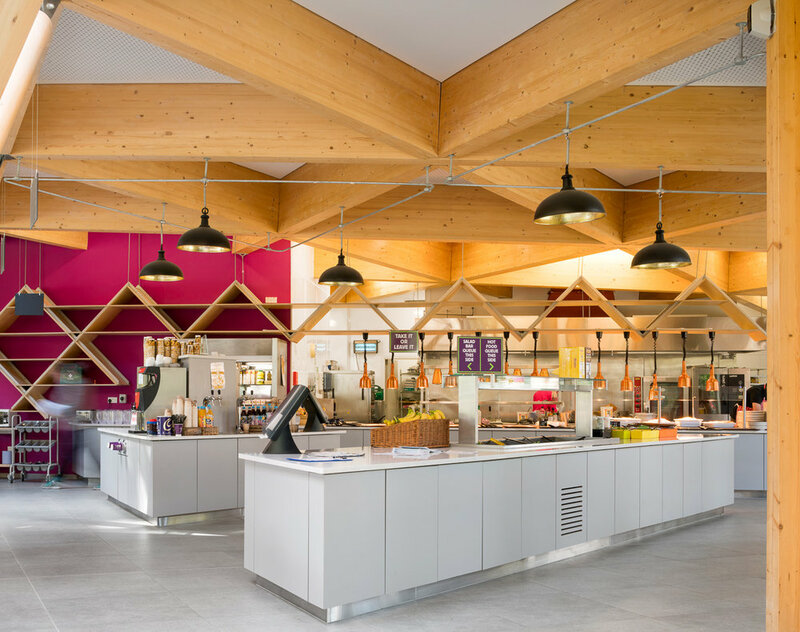 The existing dining hall by design and condition is inadequate for the future needs of the children and a decision has been taken to provide for a new building to better accommodate the various new requirements. 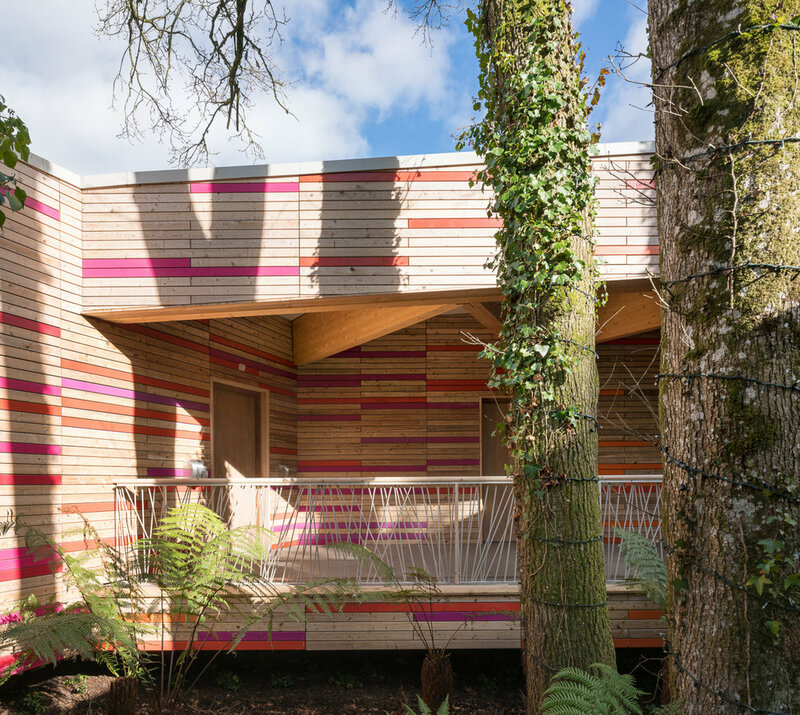 The Barretstown team decided to create a whole new dining experience for its campers. 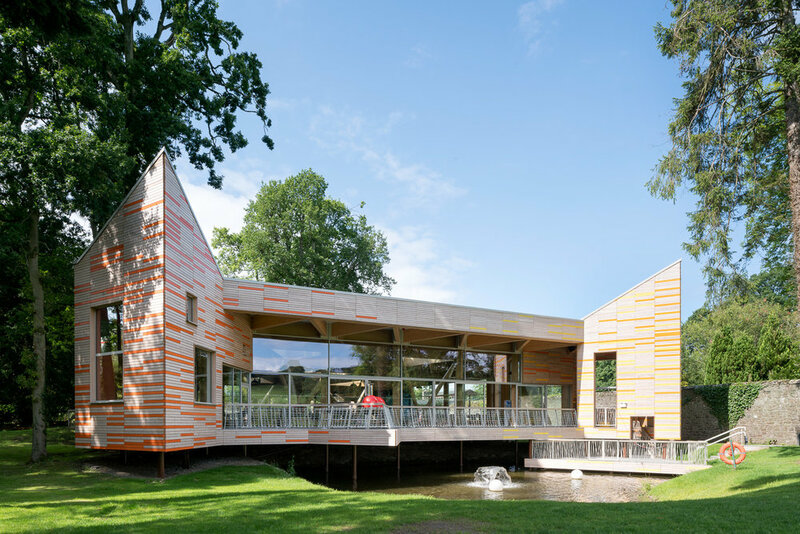 The new larger building is a dynamic sustainable and open building, located centrally in the existing campus of buildings in a strategic location along the courtyard street, adjacent to the existing walled garden and nestled within the existing trees. The new building is 893 sq m and was complete in November 2016. It was opened by An Taoiseach, Enda Kenny, at a breakfast reception at on Friday, 9th December 2016.